Interning at a fashion PR agency means that I have the unfortunate task of being surrounded by beautiful clothes and accessories all day. 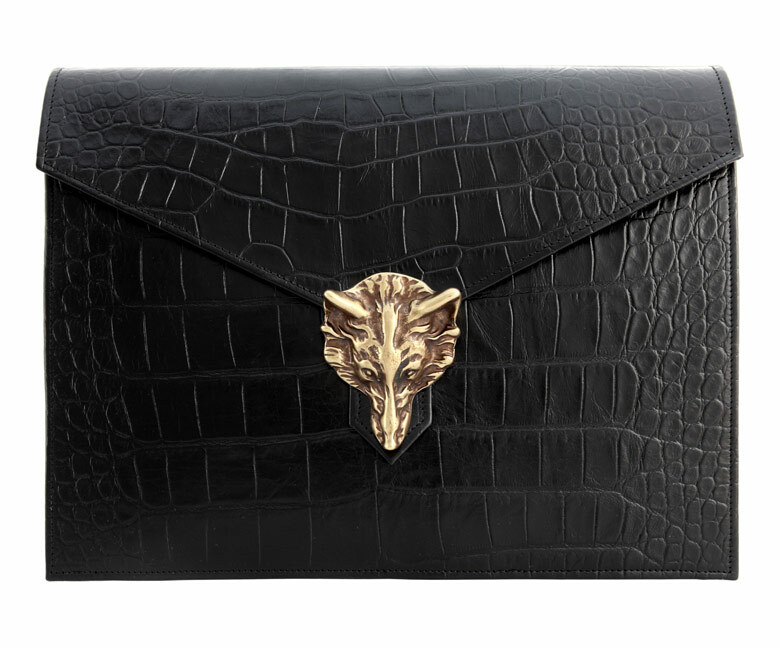 This week I have found myself developing a serious clutch crush on this foxy number from Wilbur & Gussie. The Ruby‘s oversized envelope shape makes it the ideal sidekick for both nights out and impressing in the office (a 13 inch laptop would slip nicely inside) and the croc print is elegantly offset by the dashing gold fox head clasp, perfectly positioned to keep firm guard of your belongings. With each bag charmingly named after a much loved pet of the designing duo’s friends and family, it’s not hard to see why Wilbur & Gussie are being hailed the new queens of the clutch!